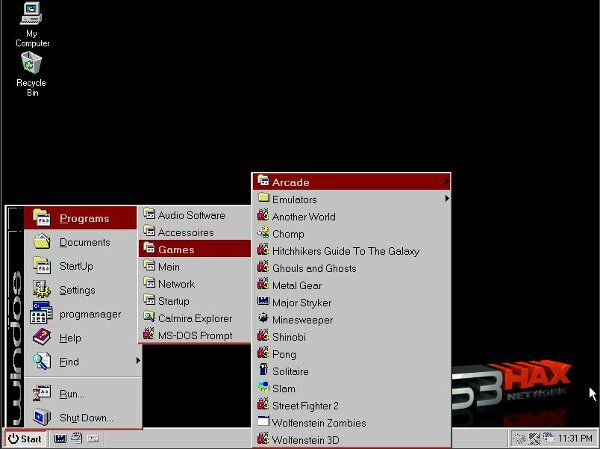 Samson, PS3 homebrew developer from PS3Hax, has released the fully version of his PS3 application WinDos for PS3 running on custom firmware which allows you to emulate Win 3.1 on your PS3 after installing a simple pkg. The developer has added more emulator and more games. new programs and games all launchable from the start menu..
also added, ps3hax theme wallpaper by Kajika, usb support(no hot plugging) a fake cd rom(folder) to copy file into (ps3 file manager or ftp) a windows based hex editor, so i think i am about done with it most 3d game lag.. but all 2d and simple 3d work. running slow-Pentium fixed@4000 BUT you can bump the cycles up as much as you want, but sound will suffer.